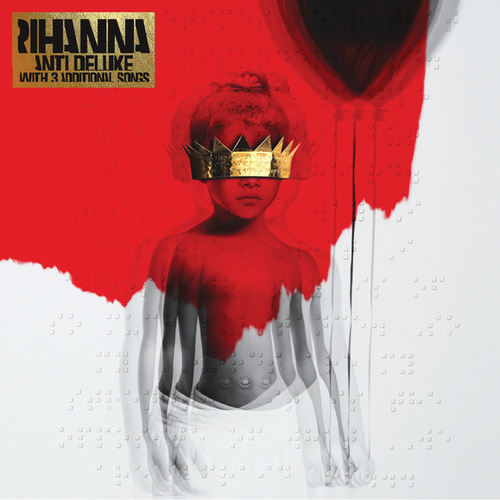 Rihanna’s first album in over three years is a beguiling and enigmatic departure. Only the power ballad “Kiss It Better” sounds typical of her pop career up to now. The rest of Anti offers contrary moods and styles: The mellow soul of “James Joint,” a murky duet with SZA on “Consideration,” a ‘60s pop throwback in “Higher,” and a duet with Drake on “Work” that winds and swings with a Caribbean lilt. At its center is a cover of Tame Impala’s “New Person, Same Ol’ Mistakes” that Rihanna turns into a louche, frustratingly vague and yet absolutely magnetizing tour de force. Throughout, she performs with a confident looseness she’s never had before. It’s thrilling to hear her thinking her ideas out loud.